Wallet made in Long Kesh concentration camp 1972. Thanks to Patrick Rooney for sharing this with us. 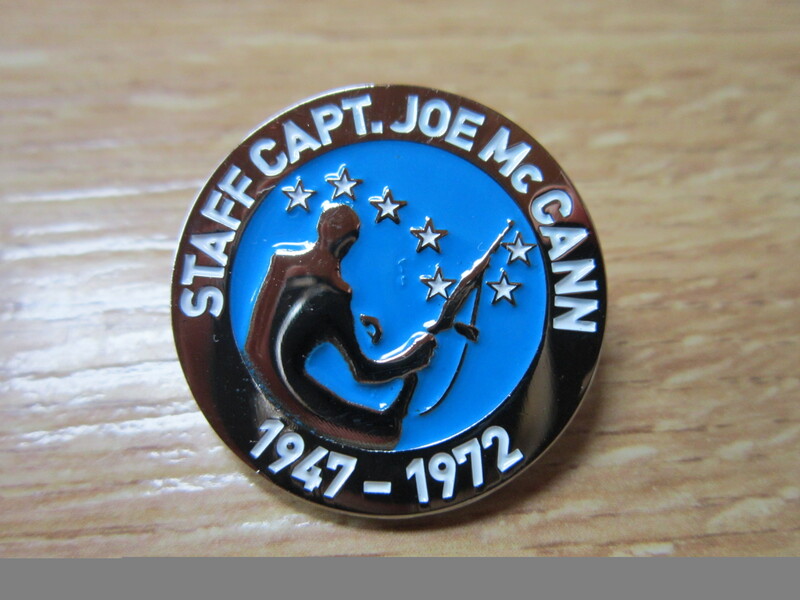 Nice Tribute and summation of Joe’s life. 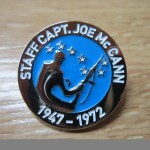 New Badge commissioned by the McCann family to mark “Big Joe’s” 40th anniversary. 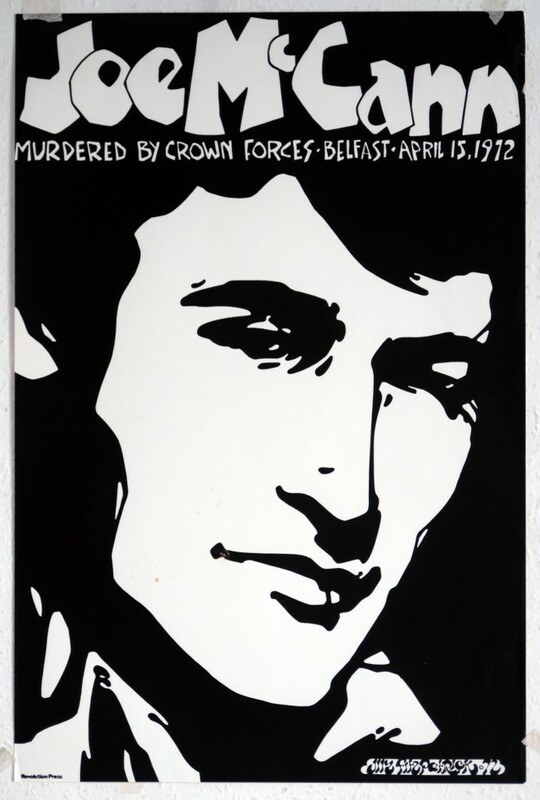 Poster of Joe comissioned by the Official Republican Leadership, Gardener Place, Dublin. 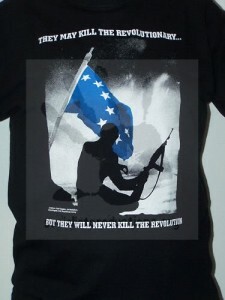 The poster was created by the renowned Irish artist Jim Fitzpatrick who also created the famous poster of another revoluntionary socialist, Ernesto Che Guevara. Here are tributes to Joe’s memory that we have received from his old and new friends. If you have something you’d like to share with us, please email it to the webmaster. Some youtube tributes to Joe. Many Thanks to all who went to the effort, it is appreciated. A poem I made about McCann, I consider the man an inspiration and hero, the world needs another like him. Called this poem, The Peoples Friend. 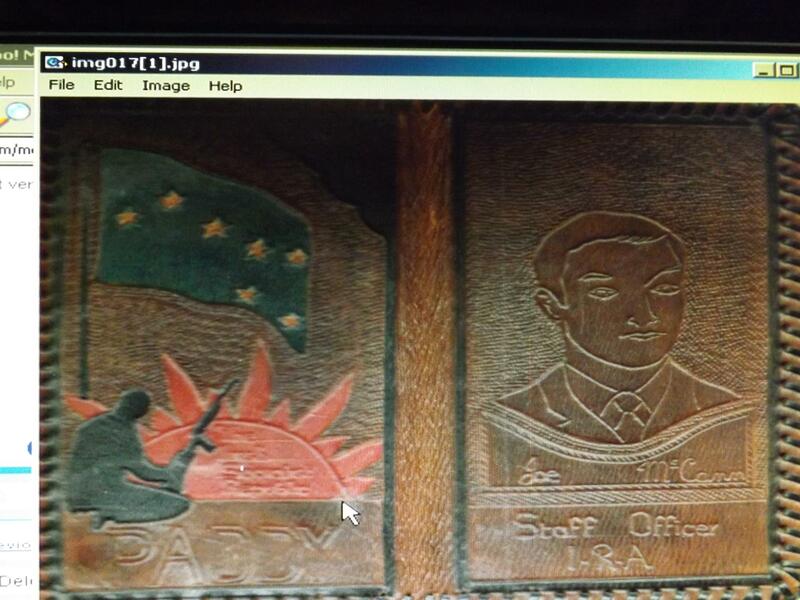 1971 rebellion in bloom, rebels emerged answering to the cause. No longer did they want to be controlled by a foreign nations laws. Operation Demetrius, arrest without trial, families in pain. 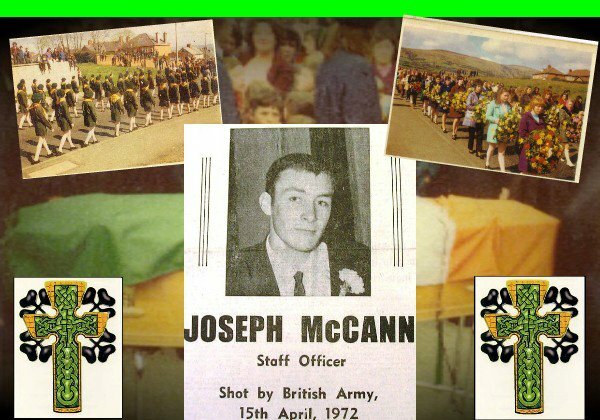 A regiment was sent to Belfast to end the dream of Sinn Fein. Legalized brutality, shoot first, beat then drag them away. Many to suffer, but they wanted their rule to be here to stay. Against six hundred in a fortified bakery McCann and his small band. holding them off until all could escape so in the end they won. and still he kept his honour and was married to his loving supporting wife. 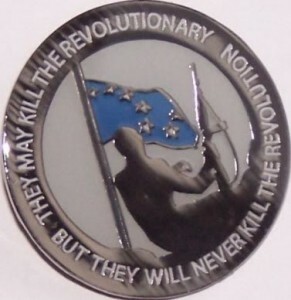 UVF killing mostly catholic civilians the same kindness was never received. because they feared him the special forces formed a plan and wanted him dead. then he saw he was surrounded and they shot that brave young man. the one who wanted a more fair world was now bleeding on the ground. but instead they chose to shoot him 10 times more. that was the life he picked, his knee he vowed to them it would not bend. they needed the warrior priest who was convinced their cause was right. but I would like to think that heaven couldn’t wait…. Sean, Thanks for your kind words and glad to hear Joe is still inspiring people after all this time. Beir Bua!! Simon. Thanks very much for your kind words. I will ask my mother about your Granda. His name rings a bell with me.